Paper deals with specifics of converting a conventional car into an electric one. The main stages of the conversion process are dealt concise but thorough. The findings are the basis for launching a large scale project with the necessary duration and financing, as a result of carrying out the necessary development activities and experiments will proceed to the development of a prototype, which will ultimately be realized. The overall focus is on research and application in the students’ learning process. In the process of performing of technological operations motor-graders are undergone severe loading conditions. The process of working medium development is accompanied by the action of time-varying parameters reluctances on the working equipment. At the situation of operative bodies blocking which are accompanied by intensive vehicle braking loads on working equipment are of shock character and can exceed considerably neutral layer of usual loads. Such loading can lead to the crabbing of the vehicle from projected path of motion. The developed dynamic model of earth-moving machine allows to take into consideration dynamic loads effect on the path configuration of its motion and formulate prompts to stabilize the characteristic signs of earth-moving machine road-holding ability. Sea transport has always been the primary mode for both, passengers and cargo transport between the mainland and the islands along the Adriatic coast. The Liner shipping have had the central role in ensuring regular and affordable transport services in the region. Demand for a regular transport services is primarily derived from the need of goods’ delivery and passengers traveling to/from islands. The demand is particularly intensive during the peak summertime season, due to a high level of tourists’ mobility. Due to the affordable costs, taken from the users’ perspective, the transport is of no commercial value for the transporter unless the state subsidizes part of the transport costs at the level of the concessions announced. This paper focuses on the analysis of transport costs and restructuring of the existing shipping lines in mid-insular Croatia, with the aim of developing a model that would reduce transportation costs and shrink total loses, thus lowering the burden on the state budget. The research points out that the specific reformation of the coastal shipping network would indeed lead to cost savings without compromising passengers/goods mobility among mainland and islands in Central Dalmatia. In the present paper is defined the functional stability of the communication systems for radio connection in the railway transport. It is associated with the possibilities for the realization of the principles of invariance within signal – noise environment altering itself. The effectiveness of the organization depends largely on the ability of managers, employee involvement in clear strategic orientations and its integrated culture. A successful management system of the organization is no longer dependent just on a process approach and continuous improvement. Increasingly, risk and opportunity management is at the forefront, taking into account the requirements of the business environment, particularly the requirements of the largest buyers of the company’s products. It is very important for the organization to incorporate risk management into its operations, not only to reduce the negative consequences but also to increase its business opportunities. 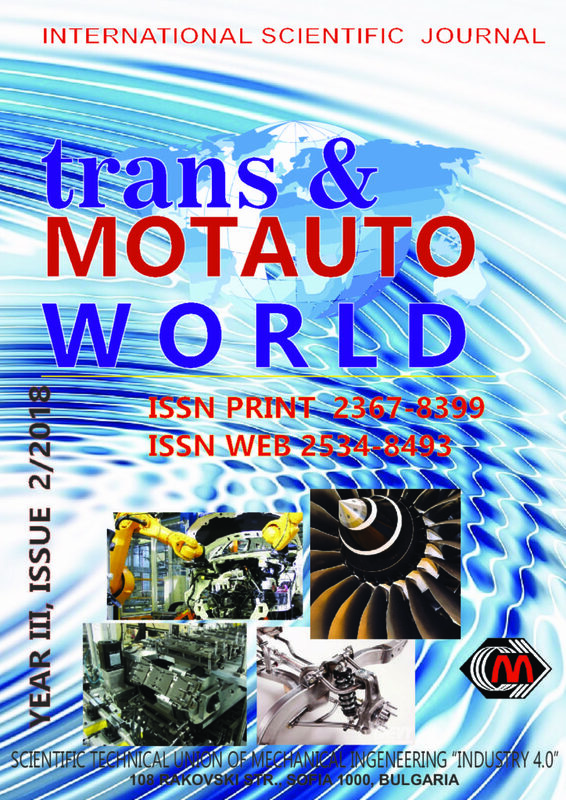 The paper presents the company’s cooperation with one of the largest motorcycle manufacturers in the world – BMW Group, which took place while the company was introducing a new steel frame for the BMW F 800 S motorcycle in global markets. Due to the right approach including a positive risk, compliance with the requirements of the SPQM (Supplied Part of Quality Management) and last but not least our ardent desire to cooperate with BMW, the company has been given the opportunity to become the supplier of complex components for BMW and other large manufacturers in this industry. lengths, compared with random networks, and because of not being clustered, these metro networks demonstrated they are not small-world networks. The analyses also show that in contrast to the OMN the WMN has certain characteristics associated with scale-free networks; that is, a small number of highly connected nodes (hubs) and node degree distribution that can be represented by a power-law function. Nevertheless, it still cannot be considered as a pure scale-free network because of its empirical distribution which is better approximated by an exponential rather than a power-law function. The metro WMN cannot be considered a random network because of having hubs. Thus, it is concluded that the examined WMN is an evolving complex network. Risk exists objectively in any marine enterprise, since the human presence of a person on the sea is accompanied both by circumstances caused by the irresistible forces of nature and directly by activities in the sphere of trading navigation. Risk management in the logistics supply chain is a complex multidimensional problem addressed in the process of identifying and assessing the risks and taking measures of protection against them. In logistics, risk refers to the likelihood of an insured event occurring, as well as the possible damage caused by this event. Risk and an insured event can be described by using methods of the reliability theory. In this case, reliability is the probability of operation of the logistics system with failure or with no failure. In order to identify rational methods and techniques for insurance, it is advisable to construe the logistics system as the process of movement of material resources. The present article outlines the risk factors affecting voyage efficiency in tramp shipping operations. The influence of factors of time and costs parameters is identified. The voyage revenue is formulated and studied according to variances of time and costs elements. For the evaluation of efficiency of voyage operations an approach based on value-at-risk method is proposed and voyage statistics in short sea shipping are studied. The results presented prove the applicability of the method for efficiency evaluation of tramp shipping operations and voyage planning. The paper presented a comparison of fuel costs between COGES and Diesel-electric propulsion systems for large conventional cruise ship. COGES propulsion system installed on the analyzed cruise ship saves ship’s space in comparison with Diesel-electric propulsion system. Diesel-electric propulsion system uses much more fuel for additional steam production and therefore, the additional fuel costs of this propulsion system are much higher in comparison with COGES system. Net profit of 50 additional cabins cannot compensate the difference in COGES system total annual fuel costs throughout the observed time period when compared to Diesel-electric propulsion system. The COGES propulsion system has much lower exhaust gas emissions in comparison with equivalent Diesel-electric system and therefore, in presented comparison, COGES could become profitable in the future if the emission regulations become more rigorous. Given are the results of a comparative design analysis of the operating cycle and thermal stressed state of a piston in diesel engine 2F10,5/12 under rated power conditions. To reduce the thermoelastic stresses in the piston, the paper suggests using the modern method of managing the operating cycle – homogeneous mixing and combustion. Such an operating cycle reduces the maximum local temperature in the combustion chamber and the temperature gradients, thereby reducing the thermal load on the piston.